The 2015 Mazda CX-5 is a terrific compact crossover SUV that offers drivers many impressive features, including a powerful engine, fantastic safety features and a comfortable, well-appointed interior. This model year, the Mazda CX-5 carries over most of its features; however, our 2015 Mazda CX-5 review did find that keyless entry and ignition have been made standard on the Touring and Grand Touring trim levels. 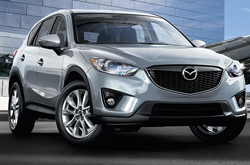 Crossover shoppers will have their choice of three trim levels on the 2015 Mazda CX-5: Sport, Touring and Grand Touring. Standard features on the base Sport trim include a four-speaker sound system, a tilt-and-telescoping steering wheel, 17-inch alloy wheels, cruise control and a USB/iPod interface. An optional Bluetooth Audio package is available, which includes Pandora radio, SMS text message reading, voice controls, HD radio, Bluetooth connectivity and a touchscreen interface. Opt for the mid-level Touring trim and you'll add the Bluetooth Audio package as standard, as well as a rearview camera, a six-speaker sound system, a leather-wrapped steering wheel, keyless entry/ignition and upgraded cloth upholstery. A Moonroof and Bose Audio System package is optional and includes a sunroof and a nine-speaker Bose sound system. The top tier Grand Touring trim adds automatic headlights, heated mirrors, heated front seats, dual-zone automatic climate control, leather upholstery and 19-inch alloy wheels. Add the Technology package to either the Touring or Grand Touring trims and you'll get automatic bi-xenon headlights, satellite radio, a navigation system and Mazda's Smart City Brake Support System. Under the hood, drivers will have several engine and drive mode choices on the 2015 Mazda CX-5 in Springfield. The front-wheel-drive Mazda CX-5 Sport trim comes with a 155 horsepower 2.0-liter four-cylinder engine and a standard six-speed manual transmission. The all-wheel-drive edition of all three trims comes standard with a 2.5-liter four-cylinder engine that rates at 184 horsepower and 185 lb.-ft. of torque. An automatic transmission is standard on the AWD Mazda CX-5. The 2015 Mazda CX-5 is now in Springfield. Stop by our showroom for a test drive today. For more information about the new Mazda CX-5, keep reading our Mazda CX-5 review. What are you waiting for? Find your Mazda CX-5 now! Is the Mazda Right for You? 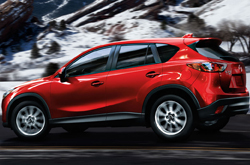 If you've ever thought about purchasing vehicles like the 2015 Toyota RAV4, Chevrolet Equinox and the Volkswagen Tiguan in Springfield, compare Mazda's new 2015 Mazda CX-5 first; we're more than confident that it's the best match for you. Shoppers will enjoy the Mazda CX-5's tasteful looks, as well as its modern cabin features. For Springfield Mazda customers who want a remarkable value, just compare this vehicle's price to the vehicles in its segment and you'll see that it's a solid investment. For more info about its specs, check out the Mazda CX-5's quick-facts list under this paragraph. 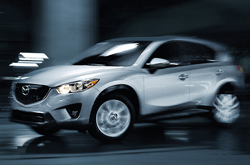 Do you want to know more about the 2015 Mazda CX-5's features and specs? After reading the review above, visit Reliable Mazda and experience the Mazda CX-5 up close. Our reviews are recorded by well-informed automotive critics. It is a resource we like to provide as one of Springfield's leading Mazda dealers. 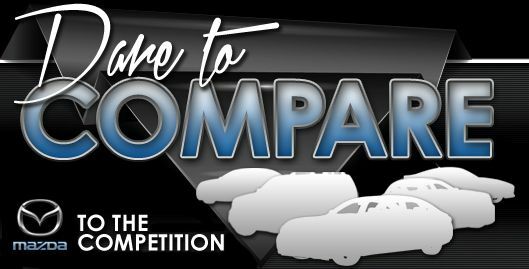 Everything perspective car buyers need to make sound decisions is right here, including info regarding cabin features and other specs. Each paragraph is overloaded with valuable facts and specs - all at your fingertips. Thank you for reading over Reliable Mazda's 2015 CX-5 review. Now that you know more about the Mazda CX-5, use the contact form to message us to learn about lease offers and OEM incentives that can help you save a significant amount on your purchase.